Jemal, a 17-year-old boy from Eritrea, had been in the UK for one year before being referred to the Mentoring Project. He was not in education and was suffering from an increasing lack of stimulation whilst going through the complex asylum process, not knowing whether he would be able to stay in the UK. His English was good when he arrived, but he often felt lonely and was struggling to live without his family whilst adapting to a new environment and culture. An affable, caring and bright young man, even for him this huge change and uncertainty was daunting. 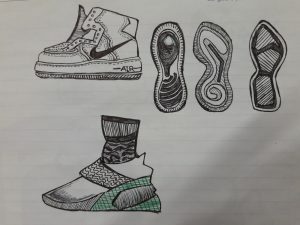 Despite this, Jemal’s dream was to, one day, establish his own company selling trainers that he’d drawn and designed himself (he’s an incredible artist!) However, he was unable to start college due to an administrative error and no matter how talented or motivated he was, he became more and more isolated with limited opportunities to engage with others and reach his potential. After Hope for the Young matched him with his Mentor, Victoria, two months ago, he had applied for, had an interview and was awarded a conditional offer to study at a fashion college starting this September. Both of them are thrilled that he now has the chance to develop his talent in design and show his creativity to the world! In preparation, he’s enrolled on a summer course to study Maths, English and IT and has just come back from a week-long trip with the Princes Trust where he made new friends, learnt new skills and did various team building exercises. His English has already improved, and his mentor has been helping him explore his business plans further. Jemal is very vocal and enthusiastic about his appreciation for the people that have helped him settle in the UK. He told us: “Mentoring has had a big impact on me, my mentor makes me feel not alone, giving me a hand and always being cheerful. 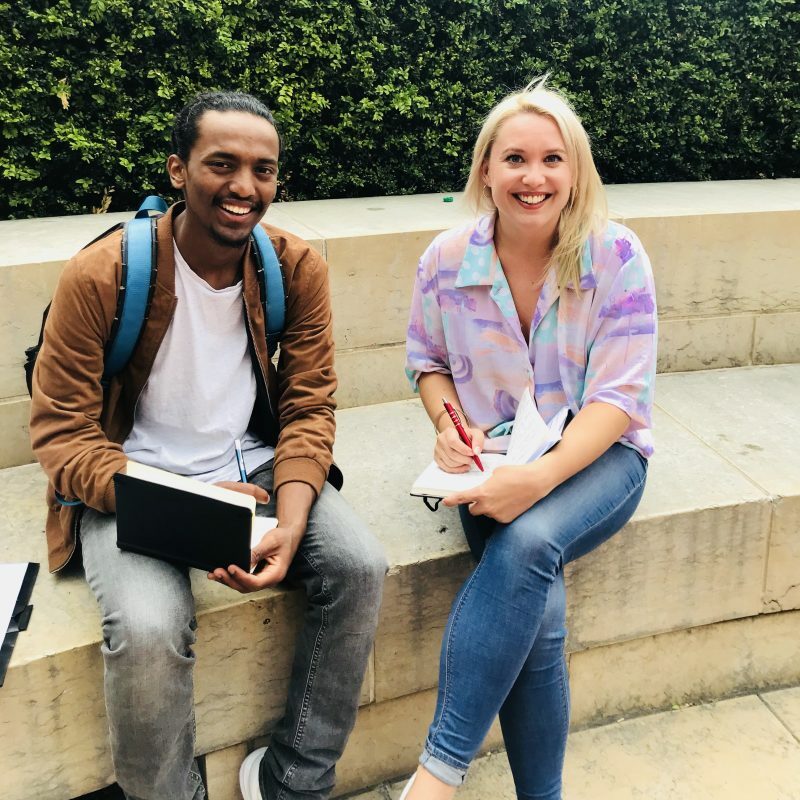 She gives me confidence and teaches me to be strong.” Full of entrepreneurial ideas and dreams, Jemal feels he is able to pursue them via mentoring as it offers him an avenue to discuss and challenge his ideas, have his opinions heard and learn the nuances of business. Thanks to the support from Victoria, he feels settled and happy again after a long time. Jemal is a perfect example of how much you can achieve in a short space of time, given the right support.